anecdotes about the kshetra and composer. 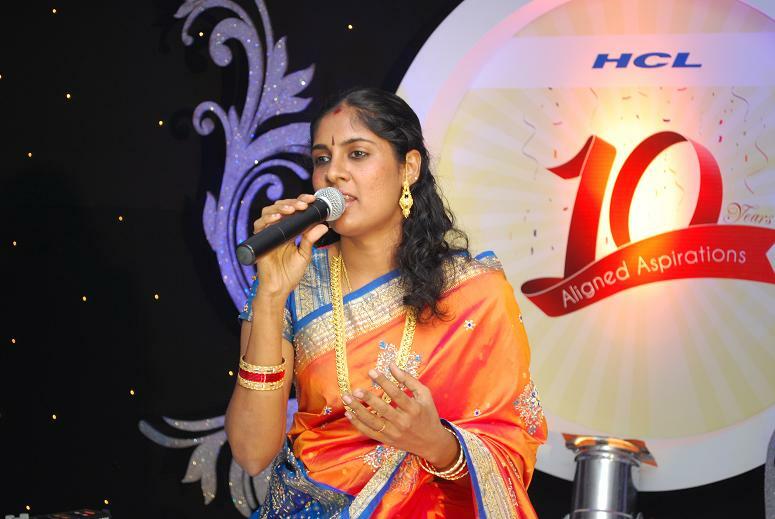 Last evening I performed a special concert for HCL especially for some distinguished guests from the United States. I started off with a Ganesha Slokam, went into Shankarabharanam raga, sang Mozart's 25th (familiar to the Indian audience as the Titan jingle). I then proceeded to the oft-heard Bridal Chorus, "Treulich geführt" from Wagner's Lohengrin, more familiar in English as "Here Comes the Bride". From there to Gowri Kalyana Vaibhogame...the theme of this piece being "Wedding - a Lifelong Partnership". The next piece was "Motherhood - Unconditional Love", and I presented "Enna Thavam Seidhanai" in Kapi raga, the audience were interactive and repeated some Kapi phrases after me!